I have so looked forward to sharing this episode with you! It's just that.... I kept finding other things to do! But the wait is over! 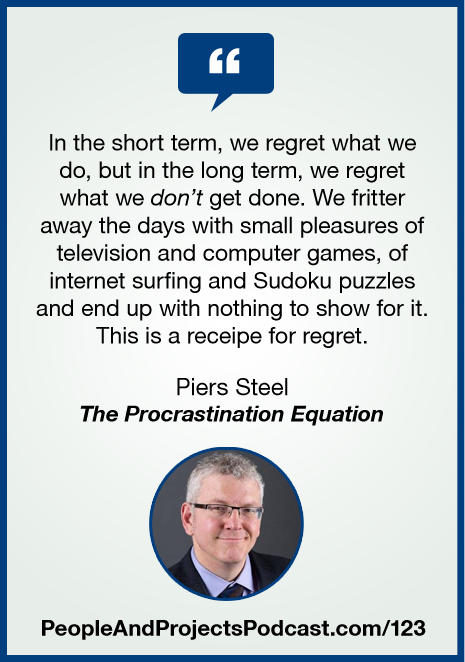 My guest today is Piers Steel, author of The Procrastination Equation: How to Stop Putting Things Off and Start Getting Stuff Done. Learn more about Piers by checking out his blog at http://procrastinus.com/.